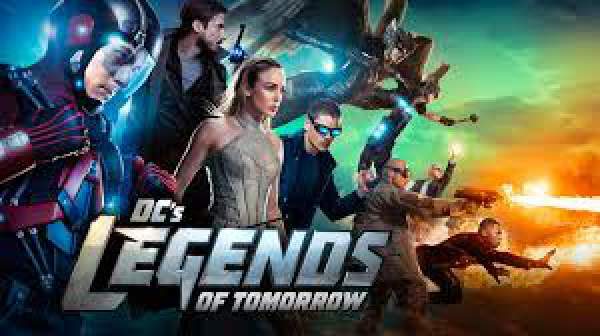 Legends of Tomorrow Season 2 Episode 11 Spoilers, Air Date, Promo, 2×11 Synopsis: In Tuesday night segment of the Legends of Tomorrow, the fans saw the team continuing their mission to stop time aberrations along with saving Rip Hunter from the Legion of Doom. We got to saw a familiar face which came into existence on one of the episodes of The Flash. The Black Flash came to a stop the Reverse-Flash from getting his hands on the Spear of Destiny. Eobard Thawne wants to rewrite his history. For now, Malcolm Merlyn and Damien Darkh were able to stop the Black Flash from catching Eobard. Moreover, the team of Legends got to know that the mysterious speedster with Merlyn and Darkh is none other than Thawne. The Legion of Doom got one success when they discovered a future technology which can fix the mind of Rip Hunter and bring back his old memories. But for them to work it out, they need Rip, and they require to meddle with his brain. But, first, they need to capture him, and the Legends won’t let them do it. The Dooms got successful in capturing him and meddled with his brain which as a result sent Rip in Revolutionary-era America. At the end of the episode, we saw Rip pointing a gun at George Washington. The next episode will start where it left on this past Tuesday. The Legends of Tomorrow S2E11 promo video is available below. In the teaser for the upcoming episode, we can see the team guarding Washington in the middle of explosions and actions. Check: The Flash Season 3 Episode 12 spoilers. A GOOD FIGHT — When The Legends find a new Time Aberration they learn they must travel to the winter of 1776 to protect George Washington and the American Revolutionary War. Unfortunately, things don’t go as planned, forcing Sara (Caity Lotz) to send out Nate (Nick Zano) and Amaya (Maisie-Richardson-Sellers) to help. Meanwhile, Jax (Franz Drameh) and Stein (Victor Garber) who are busy protecting the incapacitated Waverider from their new enemy, are forced to step into roles that they don’t think they are prepared for. Brandon Routh, Dominic Purcell and Arthur Darvill also star. Alice Troughton directed the episode, written by Grainne Godfree & Matthew Maala. The Legends of Tomorrow season 2 episode 11 air date is February 7, 2017, at 8 pm ET on the CW. Stay tuned for more news.